When Julian Lennon described for his father a picture he drew, John Lennon wrote "Lucy in the Sky with Diamonds." The British woman who inspired her nursery school classmate to draw a picture that in turn inspired John Lennon to write "Lucy in the Sky With Diamonds" has died after a long battle with lupus. Lucy O'Donnell was a classmate of Julian Lennon in 1966 when the Beatle's son drew her picture. When John Lennon asked Julian to describe it, he responded with what became the title of the song, which was featured on the groundbreaking 1967 "Sgt. Pepper's Lonely Hearts Club Band" album. 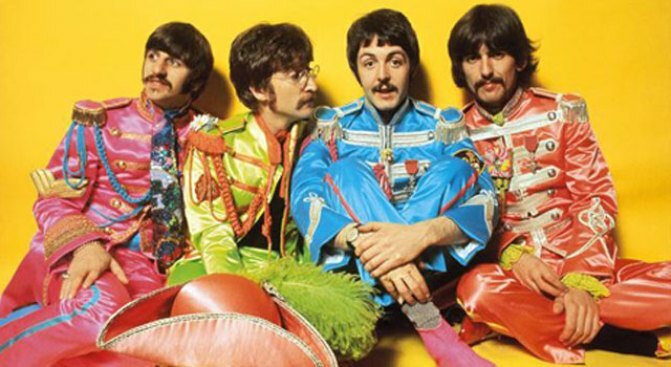 The song initially sparked rumors it was about the drug LSD, either because of the initials or the song's psychedelic imagery. Julian Lennon reconnected with O'Donnell, by then known as Lucy Vodden, in recent months after learning she was sick. The St. Thomas Lupus Trust in Surrey reported that Julian Lennon and his mother, Cynthia, said they were "shocked and saddened" by Vodden's death.